The spinal cord is a thick bundle of nerves protected by the vertebrae (bones) of the spine. Despite this protection, the spinal cord can potentially be badly damaged in SUV rollover accidents. This damage is often highly painful, and can lead to permanent or even fatal injuries. If you or a member of your family has suffered spinal cord injuries due to an SUV rollover accident, you may be entitled to financial compensation. To learn more about your legal rights, contact the SUV rollover spinal cord injury attorneys of the Willis Law Firm by calling 800-883-9858. Spinal cord injuries are typically classified as either complete or incomplete. A complete injury involves total severance of the spinal cord, resulting in loss of both sensation and function. An incomplete injury means that the spinal cord has not been completely severed. This can lead to loss of sensation or function, although it may also lead to partial loss of sensation and function. These injuries are also classified based on their location along the spine. Generally speaking, the symptoms of an injury occur below the damaged area. For example, a person who has been injured at the neck may experience impairments in the arms, legs, and internal organs. A person who has been injured near the hips may experience loss of sensation or function in the legs and urogenital system. Many people who have suffered spinal cord injuries require extensive medical treatments. Unfortunately, even with treatment, the consequences of these injuries are sometimes permanent. No one should have to struggle with painful and debilitating injuries due to another party’s carelessness. Our SUV rollover spinal cord injury attorneys work hard on behalf of rollover victims, helping them seek the justice they deserve. If you or someone you love has suffered a spinal cord injury in a rollover accident, we may be able to help you seek fair compensation. 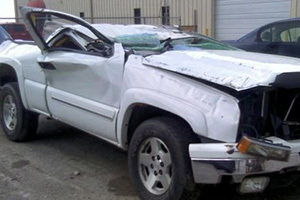 Contact the SUV rollover spinal cord injury lawyers of the Willis Law Firm by calling 800-883-9858.